Ryga, one of the most provocative Latvian bands, is slowly nearing the release of its debut album Catch Her Groove in April. Simultaneously with Latvia, the album will also be available in Germany, Switzerland and Austria, where it will be distributed by the well-known British brand Rough Trade in collaboration with the band’s record label Microphone Records. The majority of the album, including the new song “Say You Love Me Now”, has been recorded in collaboration with Labo ierakstu studija. The songs have been recorded and mixed by Jānis Kalve. 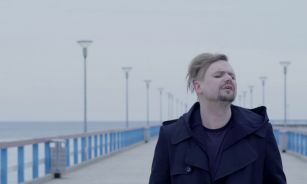 The band RYGA, which recently released its debut album “Catch Her Groove”, as well as took part in festivals “Saldus saule”, “Laba daba” and “LĪVIfest” and has already become known for its confrontational videos, is now releasing a new and thought-provoking video of the record “Give Me Your Love”. Mārcis Judzis, the founder and songwriter of Ryga, has been nominated for his second prestigious Spēlmaņu nakts theatre award in the category Musical Score of the Year. In 2014, Mārcis won the prize for his music in Oskars Koršunovs’ staging of Banishment at the Daile Theatre, but this year he is nominated for his music in Dž.Dž. Džilindžers’ production of Nick Cave’s book The Death of Bunny Munro at the Daile Theatre. Ryga, which has recently released its debut album Catch Her Groove including songs from both plays, participated in both of them.